Thirty-two euros per trip to Seville and entrance to the Isla Magica campus. 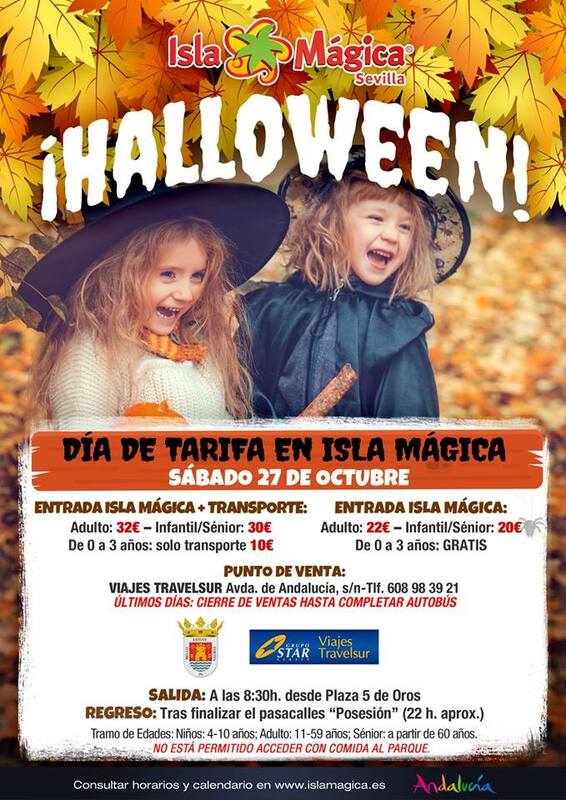 This is what the theme park and the travel company Travelsur offer with discounts so that the people of Tarifa enjoy a special day next, October 27. And it is that only the entrance to the leisure complex costs 35 euros in the current season. The City Council of Tarifa has once again witnessed the presentation of this offer also participated by the municipal area of ​​Tourism. The one on October 27 will not be another visit to Isla Mágica. The theme park will have an interest even for those who already know it. And it is that everything will be full of references to terror and “Halloween.” Up to nine specific assemblies are added to the usual attractions of the installation. Many of them have to do with the interaction of characters from the world of terror such as the Adams family, or the “ghost hunters”. There will also be characterization with free terrifying makeup, and more than one passage of terror with proposals to discover as a family, how much fun it can be to experience fear: the “Path of Terror”, the “Cemetery of Captain Cuervo” or the “Enchanted Cave” are just some of the assemblies with which the visit to Isla Magica is themed between October 12 and November 4. This was highlighted by Fran Fernández of the leisure complex present yesterday at the City Council to publicize the offer. In this context of terror special prices are offered for Tarifeños on the day, October 27. If the normal visit to Isla Magica can cost an adult, about 35 euros. With the offer presented yesterday they pay 32 euros that include round trip to Seville and entrance to the theme park. The agency “Travel South” manages the sale and reservation of seats. The idea is to leave Tarifa early, around 8.30 am and return late Saturday night. There are different prices for adults, children under 4 to 10 years, and senior from 60 years. Children from 0 to 3 years old do not pay. The bus will do in Facinas and Tahivilla so that those who register from there will be able to join the initiative from the local entity itself. For the municipal delegation of Tourism is an opportunity for the brand “Universe Rate” to be present in a facility that brings together thousands of visitors. Councilor Sebastián Galindo remarked this way. All information is available at the Travel Sur agency, located on Avenida Andalucía.